It is your time, your season for childbearing. Unlike any other time in your life you are preparing for life's greatest miracle. It is also much like a second birth for you, the mother, as something fresh and new passes through you bringing you new life, an extension of your own. Historically, women served women in childbirth offering gentle support and encouragement through what I like to call " the wise woman ways". An experienced woman offers her intuition, patience and care for another during the greatest transition a woman will experience throughout her entire life. While your partner is genuine and a loving support during the birth process, a Birth Doula focuses her wisdom and guidance on the birthing mother. Through calmness and reassurance, a Birth Doula helps take some of the worry away from your partner, which aids them in having a more confident role in comforting you. Your Birth Doula is there throughout your labor, supporting your Chosen Path, assisting you for a birth experience your way. As your Birth Doula, I assist you in the birth of your baby by providing emotional and physical support as well as comfort measures such as position changes, breathing exercises, back rubs and applying counter pressure to your lower back. I believe in the power of a woman's body and mind to birth naturally. As your advocate helping you fulfill specific desires for your birth, I am there beside you all the way, encouraging you and guiding you to become empowered to birth your way. I assist with all types of births and support your choice. Walking, breathing, light touch, gentle words, reassuring care, vocal and visual guidance, birth ball, shower or bath, hydration and light snacks, attention to your birth plan. What is World Doula Week? This is a rich story set in biblical times. Non-religious as it focuses on the birthing and menstrual tent. It provides the reader with a look into women serving women. 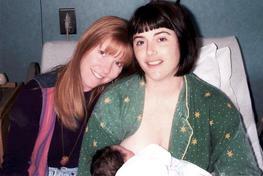 Mothering centers around natural mothering, parenting, and birthing. It resonates as an alternative to the mainstream. I received the paper magazine for 15 years while I was raising my own children.